Who says you have to sacrifice happy hours with friends to stay fit? Savor these waistline-friendly (yet still flavorful) dishes and drinks. 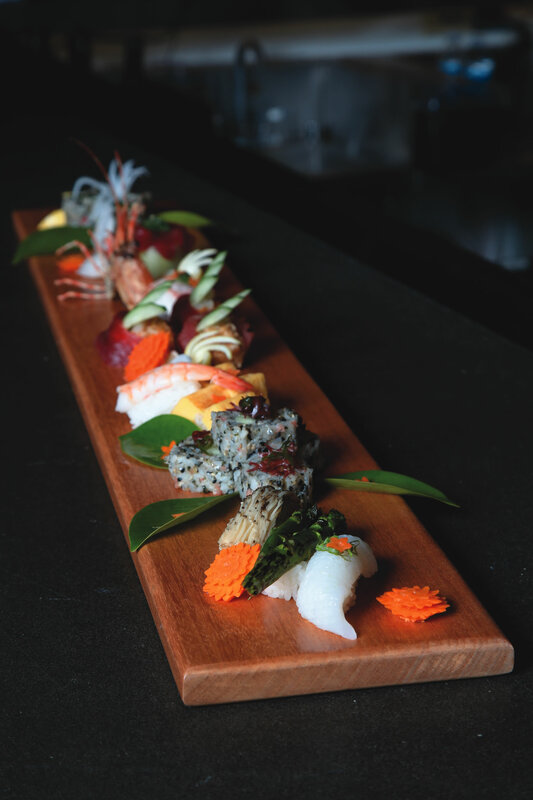 Happy hour specials at Nirvana Grille change seasonally, incorporating fresh flavors, organic produce, and sustainable meats and seafood. Enjoying healthy food and drinks at happy hour might sound like an oxymoron, but that’s no longer the case in our foodie-obsessed culture. 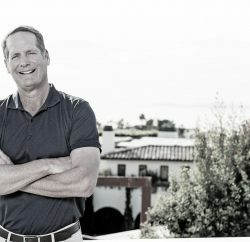 With diners now seeking fresh, healthier sustenance at all times—not to mention attempting to keep all those New Year’s resolutions to eat better—Laguna’s restaurants are successfully meeting the demand for lighter fare and libations at the end of a long work day. 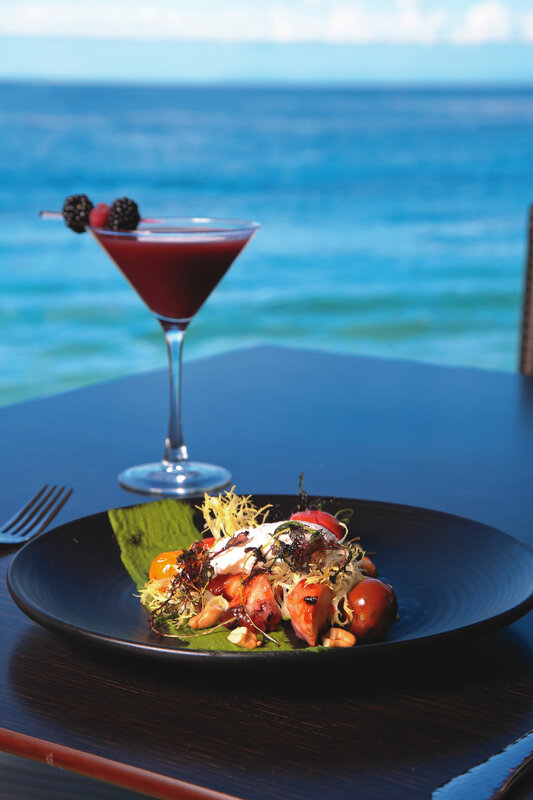 From organic veggie burgers and low-cal cocktails to light seafood dishes, our town’s eateries have got you covered. So, gather a group of friends or coworkers and indulge in tasty happy hours without the guilt—we’ll cheers to that. 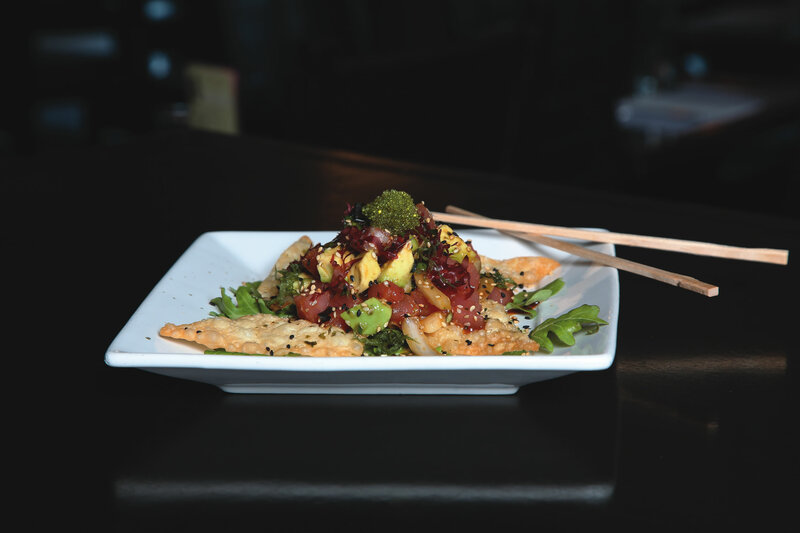 Hawaiian ahi poke is just one of the small plates found on K’ya Bistro Bar’s happy hour menu. 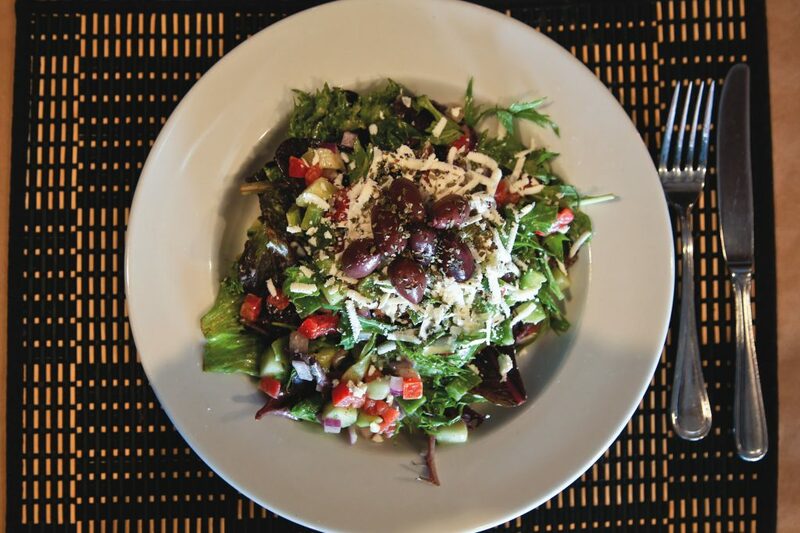 At GG’s Bistro, the Mediterranean salad is topped with homemade olive oil and lemon dressing. Charred octopus at Splashes at Surf & Sand Resort. 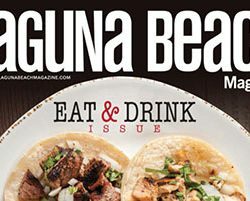 For guests concerned about the calorie count of their cocktails, there’s no need to fret, since several Laguna eateries serve low-calorie beverages or “skinny” cocktails. 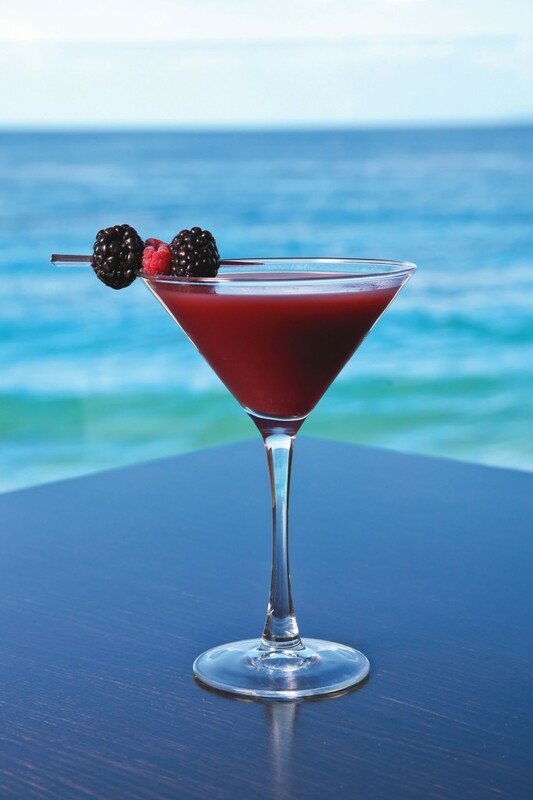 Splashes features a refreshing concoction called The Superfruit Martini, which incorporates VeeV Acai Spirit, Stoli Blueberi vodka, mangosteen juice, pomegranate juice and lime juice. Infused with antioxidants, this is one delicious drink that’s actually good for you. 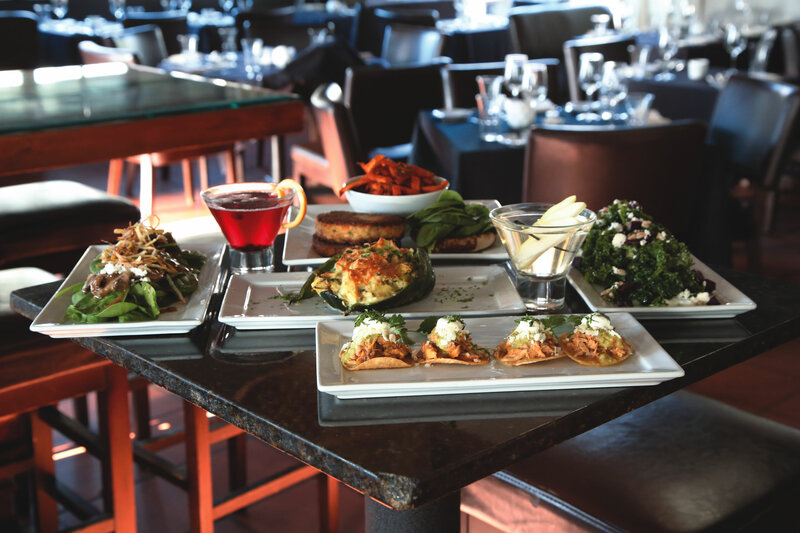 Additionally, Nirvana Grille offers tasty low-calorie beverages including the restaurant’s signature cosmopolitans: the Skinny Pomegranate-Agave Cosmo and Skinny Pear-Agave Cosmo. Both drinks are made with agave nectar and whole fruit purees—decidedly healthier options without the refined sugar. 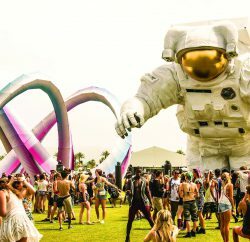 Nirvana also uses and carries Purity Vodka, an organic and gluten-free spirit. Many other local establishments serve skinny cocktails, including Carmelita’s Kitchen de Mexico, The Deck, Rock’n Fish, Las Brisas, GG’s Bistro, Starfish Laguna, K’ya Bistro Bar, Mozambique and The Rooftop Lounge, to name just a few.